The recent weeks had the whole country on an emotional roller coaster ride. Two weeks ago, we were all ecstatic and our spirits were high with the visit of Pope Francis. We were all filled with positivity and happiness that not even a storm could dampen our spirits. The Villamor Airbase drowned with the chants of people awaiting the touchdown of Pope Francis’ arrival from Sri Lanka. 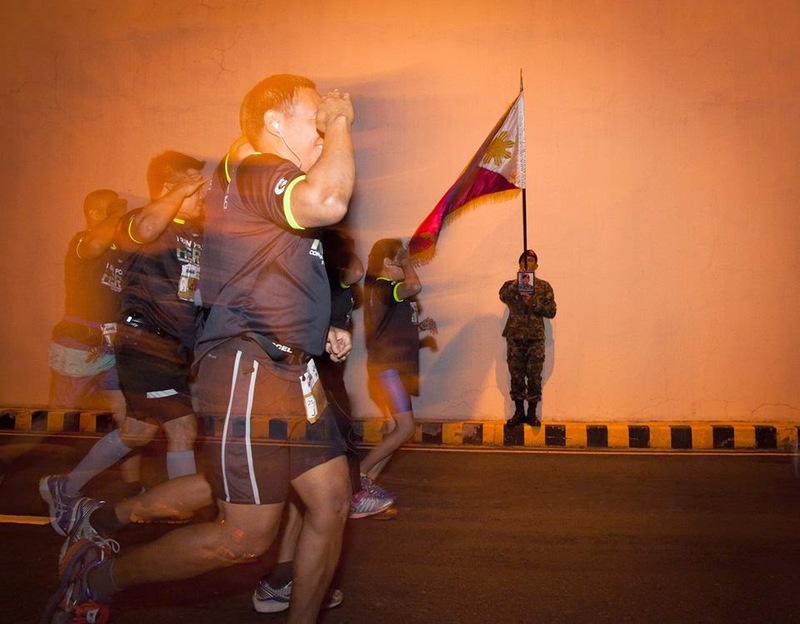 Ironically,in a span of one week, that same airbase was filled with gloom , wailing and tears, all of the opposite of what happened just a week ago with the arrival of the 44 fallen Special Action Force (SAF) men of the Philippine National Police who died in pursuit of arresting an international bomber considered to be the Bin Laden of Asia . This tragedy brought the Filipinos outrage and raised hurting questions on who should be accountable for their deaths. well laid out in my Facebook posts. country that which he is supposed to lead. I have a special attachment to the military, because during Haiyan/Yolanda, without them we would be dying from thirst. It was them who would snuck bottles of mineral water from their supplies and give it to us. It was them who entertained and played with my children to ease the boredom while we wait for the C130. It was them who ran with us, carrying my children so we could go before everyone else. We did try but we failed. I have always said that I will forever be grateful to them. There may be a selected few who will always be the black sheep of the men in uniform, but personally, situations like these brings back my trust in them. I just hope that our men in uniform will give importance to the lives of our modern day heroes before they think of doing something dishonorable. Forces of the Philippines, was already chosen a year ago, but then coincidentally, it became more meaningful with the recent developments in our country. a photo of their fallen comrades. And as soon as we passed by them, we gave them our snappiest salute. It was one touching moment, as some even touched the photos of our Fallen44. 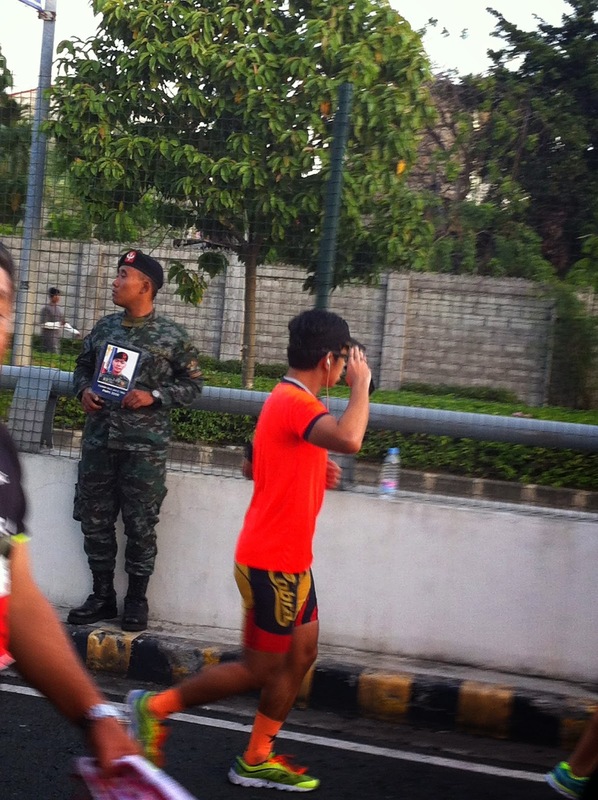 Othe runners dedicated to run an extra 2 kms for our fallen SAF. I ran the 6K (well, almost run). It was actually more of like run, walk, selfie, run,walk,repeat. My sister asked me to leave her at her pace and meet her at the finish line. Younger than me, she was surprised I still had the endurance to run. Thanks to my daily walks. I prefer walking than taking a ride. It is the only exercise that I do on a daily basis. Sometimes I do simple stretching. After crossing the finish line, we were given our medals. The 42K and 21K got finisher’s shirts. I was contented with my brass medal. 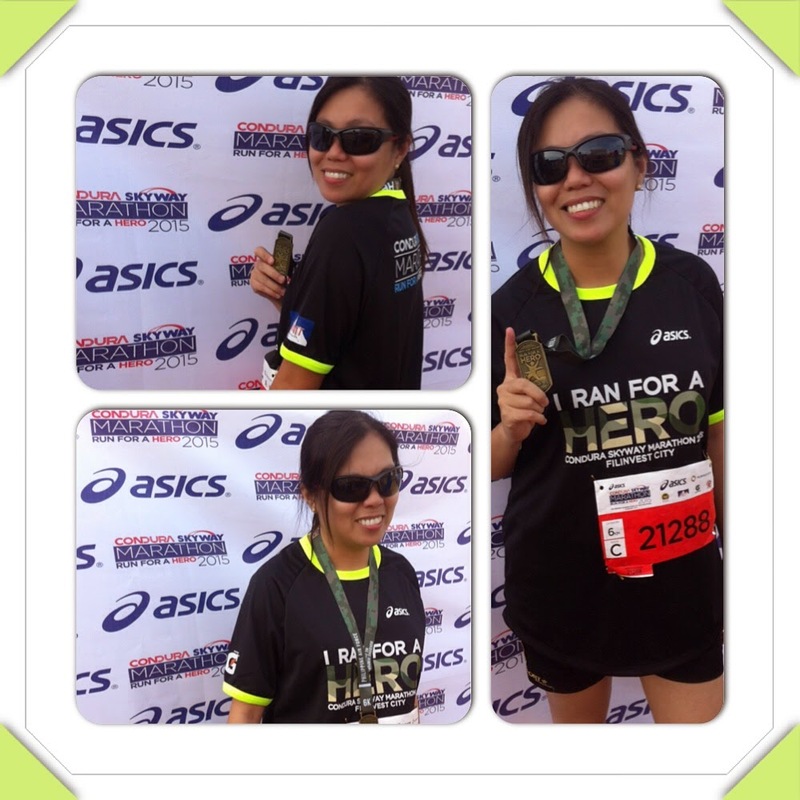 I just achieved my goal, I finished the race at 1:15:16. Not bad for someone who doesn’t have enough practice. It’s two days after now and I’m still walking like a duck. My body is sore, my feet is a bit swollen. 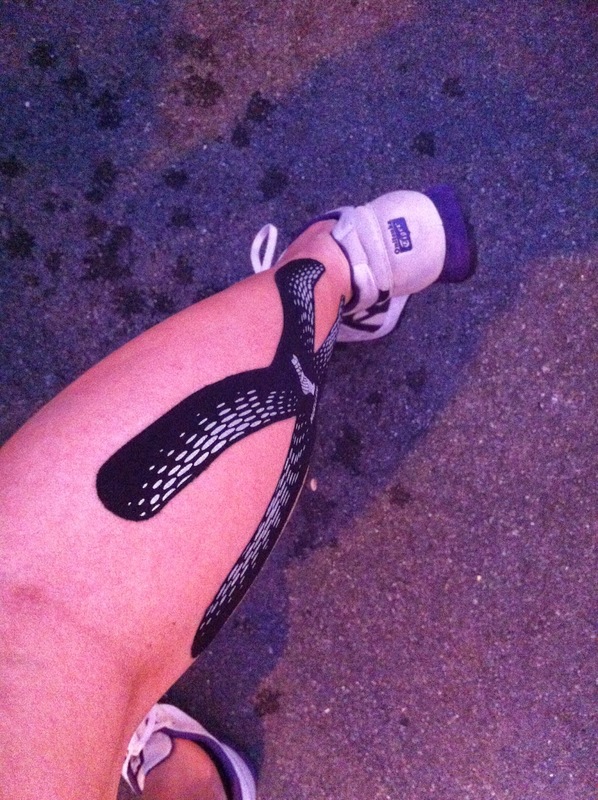 But thanks to the Mueller Easyfit Kinesiology Tape Pre-cut X-Pattern , it did it’s job in lessening muscle pain. Actually, I didn’t felttightness in my right calf than on my left without the tape. 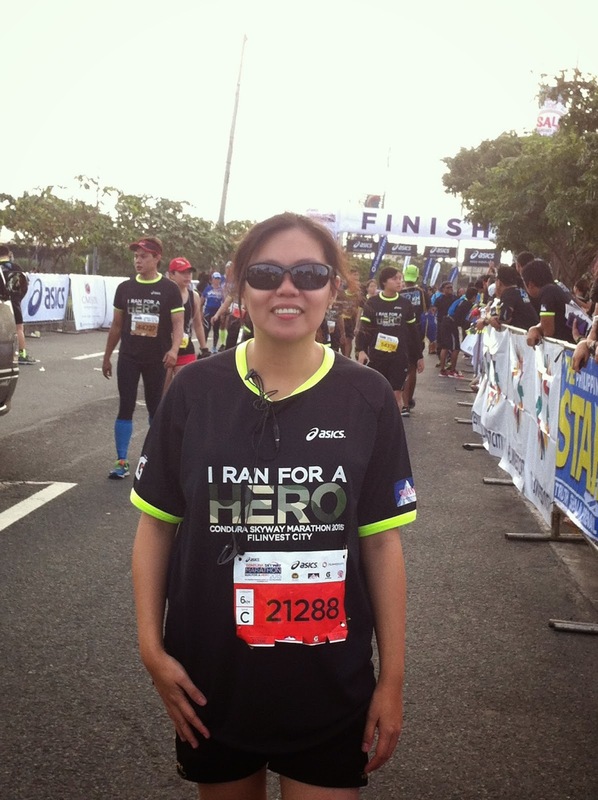 Know more about the Hero Foundation here. You can also become a volunteer blogger by clicking here. I’m still keeping the faith that one day we’ll attain peace in Mindanao.